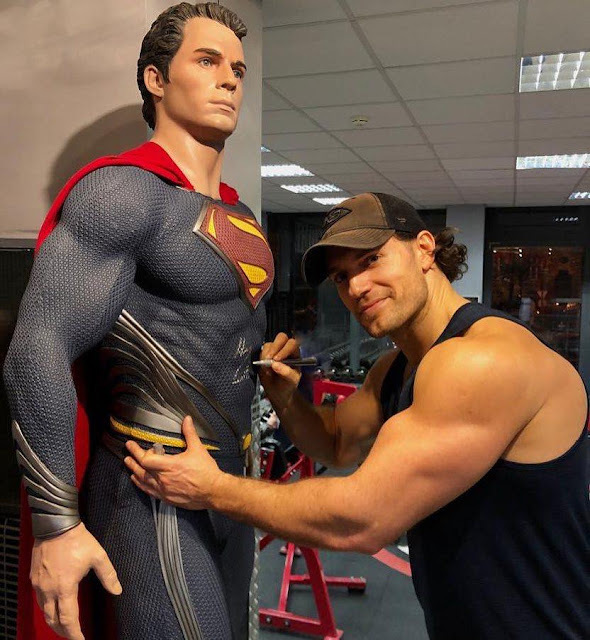 Your reaction to this new photo and update from Budapest says it all..
"🦇‏ @KnightHawk175: HIS ARMS ARE PROBABLY BIGGER THAN MY HEAD I'M-"
‏"@mariamyasser7: Imagine your arm being bigger than Superman’s. Wow We stan"
‏" @BowYoVeech: Stop playing with my emotions!!!!" Henry's trainer Dave Rienzi shared the new pic today, along with the details of Henry's filming routine while he shoots The Witcher in Budapest. Those monsters don't stand a chance. Go get'em Supes! UPDATE: New photo from that day!